As I am taking on some new challenges at work, I realised I needed to clear the decks a bit with my side projects. So with some sadness, I’ve decided to close down or hand over the following cycling-related projects and activities to other people. Mesmeride was a holiday project I put together to teach myself Ruby on Rails. 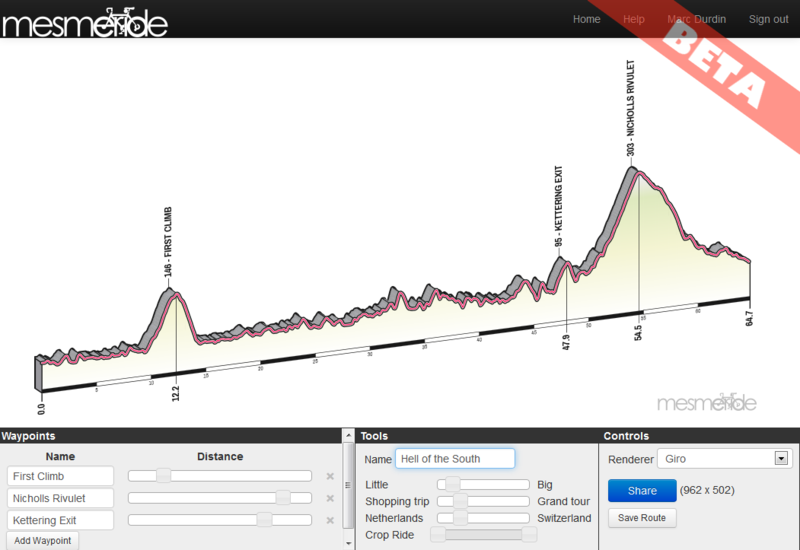 Mesmeride renders the elevation profile from a Strava ride in a variety of ways, imitating the Giro d’Italia profiles among others. I did want to put some more time into this, having ideas for maps and more flexible profiles, but it isn’t going to happen. The Mesmeride website was at http://mesmeride.com/, on Twitter @mesmeride, and Facebook at https://facebook.com/mesmeride. The site will shut down in a couple of weeks — time to get your graphics off or to tell me you want to take over running it (currently costing $9/month for the Heroku instance). The Hobart 10,000 is an annual ride over 3 days where a bunch of keen cyclists tackle 10,000 metres of climbing on some of Hobart’s iconic hills and mountains. Barry Jones and Mark Breen (@clunkersrule) are already doing a great job of running this event — I’m just handing over the digital reins. The Hobart 10,000 can be followed on Facebook at https://facebook.com/hobart10000, on Twitter at @Hobart10000, and on the Strava club. The website http://hobart10000.com/ will be closing down. 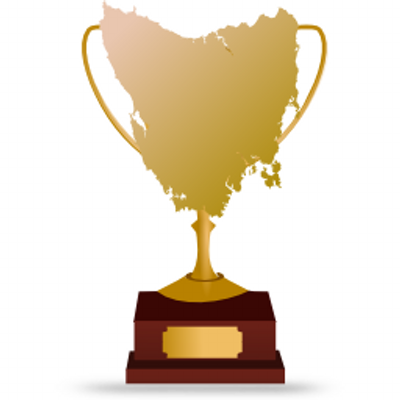 The TassieCup Twitter account reports on the progress of Tasmanian cyclists in the major pro races. I’ve handed control of the account over to the inimitable Daniel Wood (@danielwood1). First, this is a cool concept. I appreciate you leaving access to the source. After working through quite a few issues (most of them my own making), I have managed to build the code. I have similarly used the process to get some sort of handle on Ruby. However the oath2 authentication with Strava fails. Is there anyway to get a standalone build/app that works please ? For the Strava oauth authentication you need to have a Strava developer account and then set the key in the environment ENV[‘STRAVA_SECRET_KEY’] (see https://github.com/mcdurdin/mesmeride/blob/5f6ceb15d153ae4c0e5961f9fe6b791dc403ecd4/config/initializers/omniauth.rb). Hi Marc. Thanks for the reply, was talking with some mates who work with oath authentication. They should be able to help. Your reply is gold, appreciate you spending your time on replying. This is such a cool API. Loved Mesmeride. Is anyone taking over this? I know the website is down/taken over. Do you know if there’s a new site from whoever took it over?